Black Water is an action thriller film directed by Pasha Patriki. It stars Jean-Claude Van Damme and Dolph Lundgren in the fifth collaboration between both actors as well as the second time they appear together as on-screen allies. 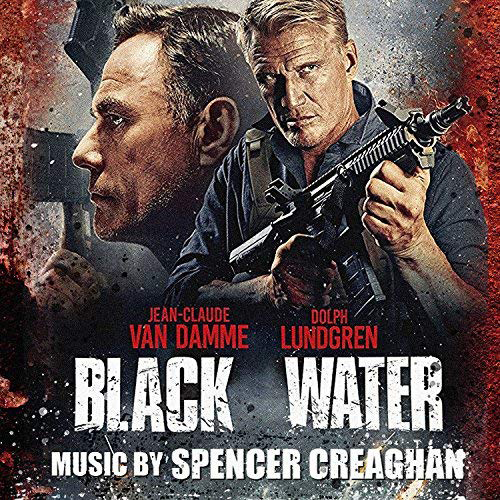 Scott Wheeler (Jean-Claude Van Damme), a deep cover operative awakens along with another prisoner, Marco (Dolph Lundgren), to find himself imprisoned in a CIA Blacksite on board a retrofitted nuclear submarine. Enlisting the help of a rookie agent and another prisoner, he must race against the clock to escape and discover who set him up. Outside of the film world, Creaghan creates grand orchestral arrangements for many Symphonic Metal acts, world-wide - most known for his work with Cradle of Filth’s keyboardist Lindsay Schoolcraft and Evanescence’s Rocky Gray. When not composing for media, Spencer produces grandiose records fusing many different styles of music, often in unexpected ways.